Robyn Vilate: Oh hey, it's been a minute! Oh hey, it's been a minute! I hope you all had a very Merry Christmas and that it was as magical as it was at our home! I never knew how much I would love seeing my little one run up to the tree and seeing all of her presents that Santa had brought her! Her face lit up and we even got a few squeals when opening her presents. It is truly a magical time of year in so many ways! As much as it is anticipated, it was all over in a few short hours and we are pretty much back to normal life. Olivia is just now the proud new owner of a kitchen set, complete with pots and pans, shopping baskets, play food galore and even a toaster, hot cocoa maker (which basically just streams water into a cup) and a mixer to top it all off! We have been very busy baking (and eating!) fake cookies, mixing lots of interesting concoctions in her mixer (who would have thunk broccoli, eggplant, eggs and green peppers would all be mixed at once?!) and cooking up all sorts of goodies for Dad! She is one happy camper and I think Santa kind of nailed it this year. In other news… I am still using up a few photos from my blonde days and for those of you who follow my instagram you may have seen I dyed my hair dark again, ahh! (More on that, coming soon!) So to be honest, this was actually an outfit I wore a week or two ago, but it was just too good not to share! 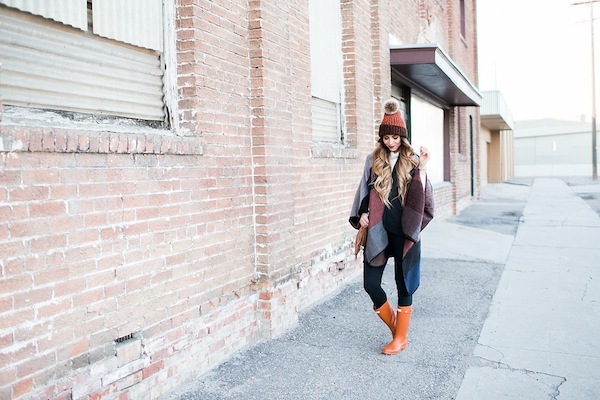 The beanie, the cape, the BOOTS! It's honestly one of my favorite winter looks that I've posted about! 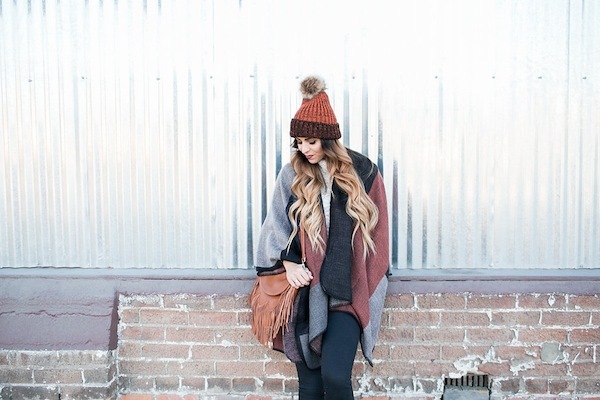 So much cozy and cute all in one look! 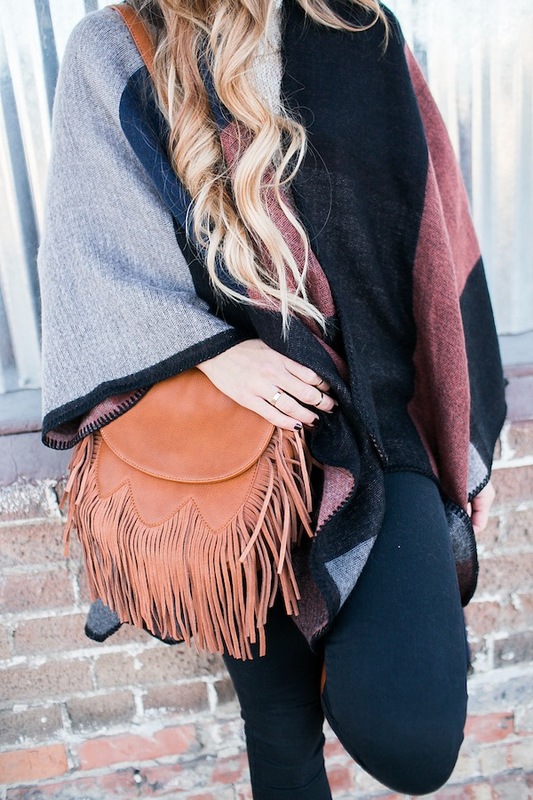 You can basically find every item I'm wearing from Tai Pan Trading - one of my favorites here in Utah! The beauty of it is that they have the most fabulous home decor (posted about here) so you get to do all your shopping in one place! Their boutique has grown and they have so many cute brands and even carry local brands like Kingdom & State (another favorite!)! For those of you local, definitely check out their cute selection and if you can't make it into the store, they have an online shop HERE where they sell both home decor and clothing items! You can also shop more of my favorites below! Happy Monday and a late Merry Christmas! I've missed your posts! 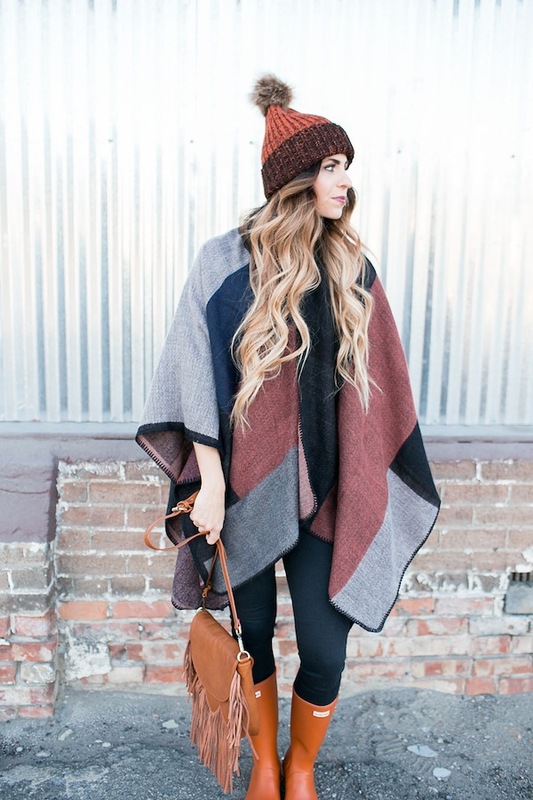 Love the cape and beanie! 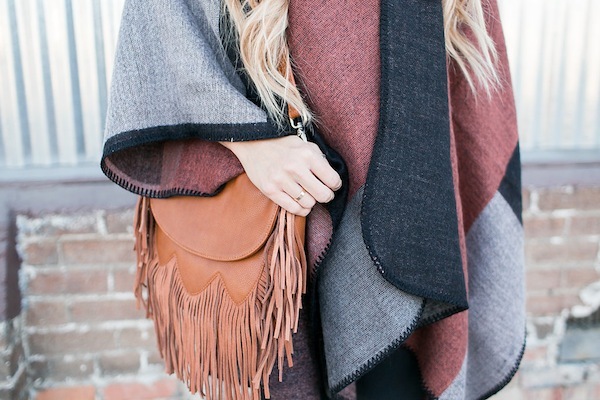 Fabulous winter outfit! !